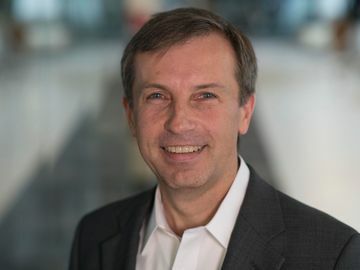 David Mann was named Senior Vice President and Chief Legal Officer of Dunkin’ Brands in March 2019. Mann is an experienced lawyer with global transactional and operations experience, and a track record of developing strong franchisee and business partner relationships. He joined Dunkin' Brands from Marriott International where he served as Senior Vice President and Deputy General Counsel. Mann joined Marriott in 1995 and held a variety of positions of increasing responsibility in the legal department, including serving as Deputy General Counsel for the company’s Ritz-Carlton division and as Marriott’s Corporate Secretary. During his tenure, he had broad responsibilities across that organization’s global portfolio of properties, with a particular focus on US and Canadian franchised and managed properties. Mann also played a pivotal role in helping transform and expand the company’s product offerings and global footprint, building off Marriott’s 90 year heritage and focus on service and customer satisfaction. This included leading the Marriott legal team in a number of acquisitions, product offerings and joint ventures, including the company’s landmark $13 billion acquisition of Starwood Hotels & Resorts Worldwide in 2016. Before entering the corporate environment, David was an associate at the law firm of Akin, Gump, Strauss, Hauer & Feld. He earned his B.A. from Dartmouth College and his Juris Doctor from the University of Michigan Law School. He is drinkin’ a medium hot regular coffee and scoopin’ Baskin-Robbins Jamoca Almond Fudge ice cream.